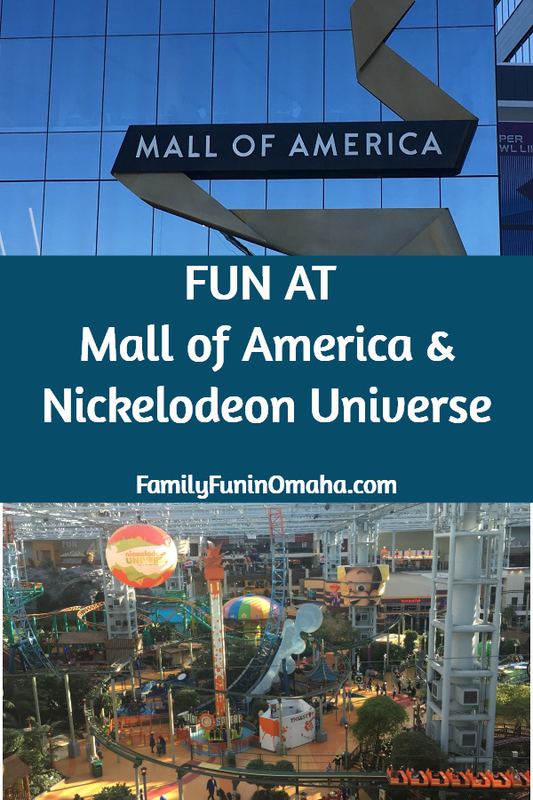 Fun at Mall of America and Nickelodeon Universe! Special thanks to The Roseville Visitors Association for partnering with us and hosting our stay. Roseville, MN, is the perfect location for visiting and exploring all of the fun things to do in the Twin Cities! 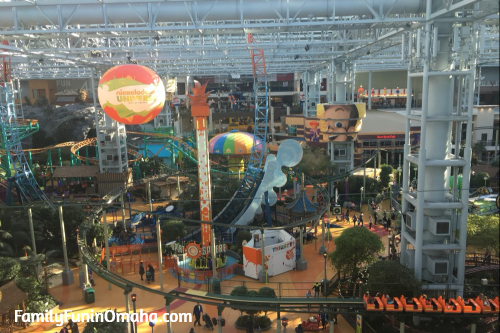 A fun stop for any visit to the Twin Cities is the Mall of America! 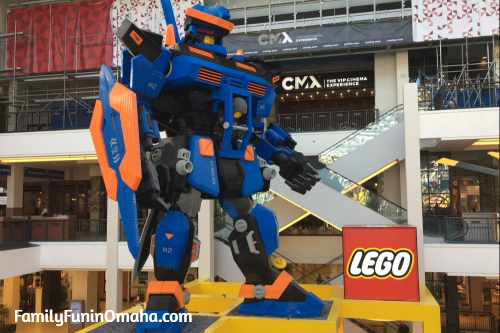 With 400+ Events, Nickelodeon Universe, the LEGO Store, and more, there is always something fun going on! Planning a trip to Minneapolis and St. Paul? 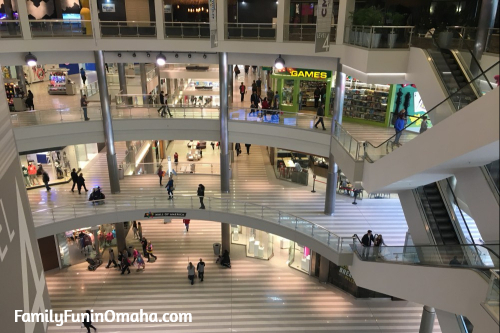 Discover fun things to do Visiting Twin Cities with Kids! The sheer size is something to behold! 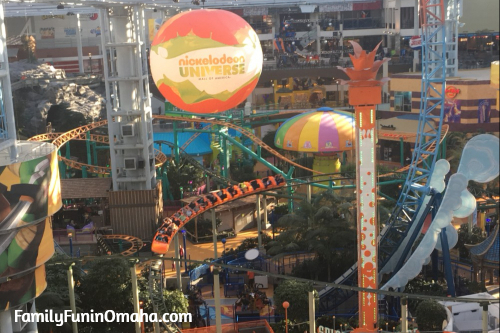 Nickelodeon Universe, located in the middle of Mall of America, is the highlight of any visit to Mall of America! 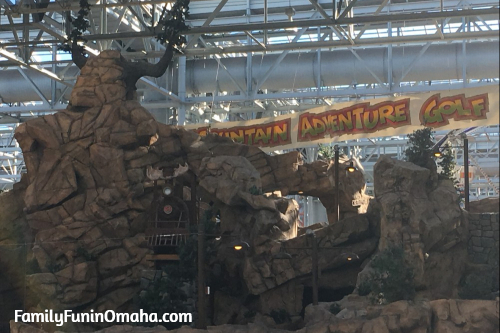 The nation’s largest indoor theme park is filled with landscaping and is all under a ceiling that allows natural light in and so you feel like you are outside. Perfect for year-round fun in the middle of winter, or on a hot Summer day! Two fun rides we had not seen before – The Brain Surge and Teenage Mutant Ninja Turtles Shell Shock (in the back)! 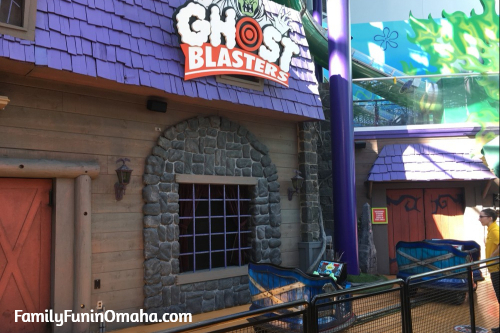 In the Ghost Blasters ride, each rider gets to shoot at various targets – see who can get the highest score! One of the kids favorite shows when they were little, The Backyardigans! 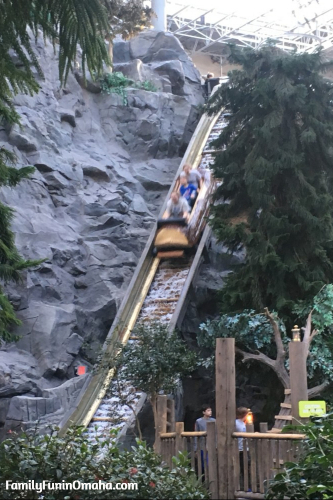 The log ride is always a favorite, an I loved that I hardly got wet! One of our favorite rides is the Avatar Airbender, designed like a skateboard! 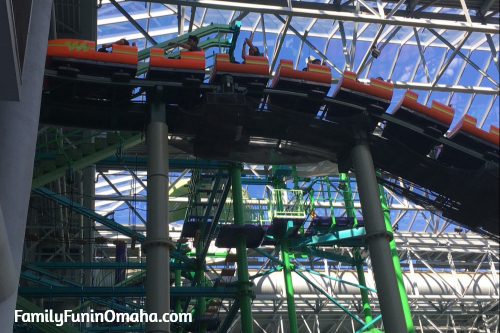 With 27 fun-filled rides, including several we have never seen before at other parks, Nickelodeon Universe was very fun-filled day! The LEGO creations on top and in The LEGO Store are amazing! 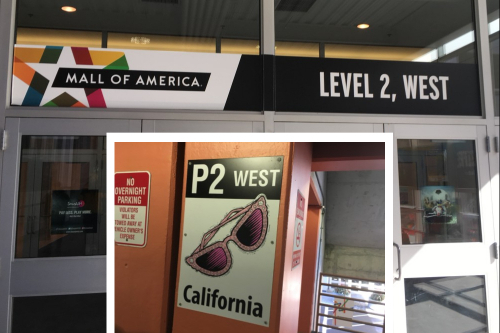 Be sure to walk around and view them from the store level, as well as the level looking down. The detail and size are incredible – this one pictured above is over 2 stories tall! 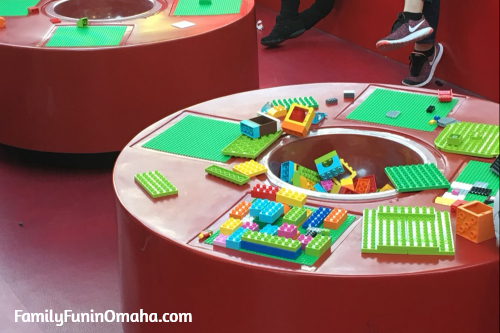 Kids will also love playing with a variety of LEGO pieces in a little play area in front of the store. Parents can get in on the fun, too! 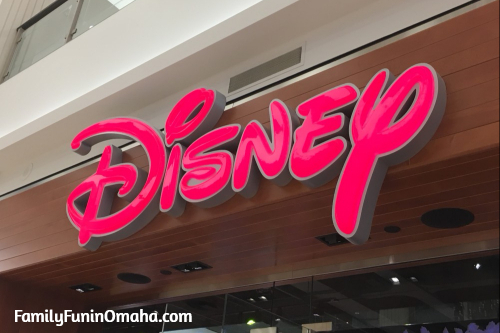 The Disney Store is a fun stop, with a small area with a video playing for kids to watch, and a little castle with an interactive mirror! 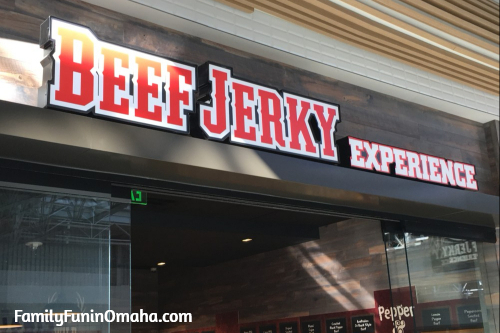 Stop in the Beef Jerky Experience to taste a variety of delicious and unique flavors of Beef Jerky! 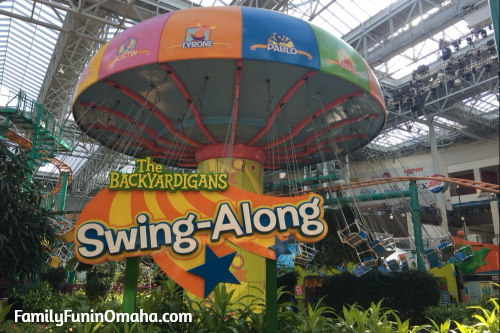 In addition to Nickelodeon Universe, there are a variety of Entertainment Options including Moose Mountain Miniature Golf, Sea Life Aquarium, Crayola Experience, and more! 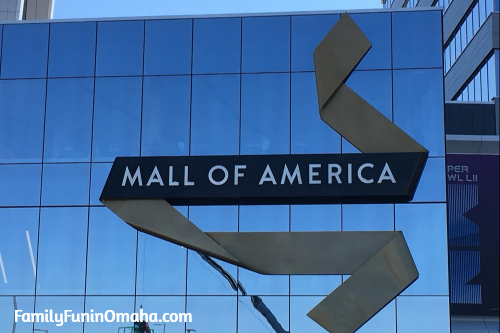 With the size of Mall of America, it is easy to forget where you parked. I took a picture on my phone to make it easier to remember! Special thanks to The Roseville Visitors Association for partnering with us and hosting our stay. Roseville, MN, is the perfect location for visiting and exploring all of the fun things to do in the Twin Cities! Be sure to contact them for help planning your next visit.